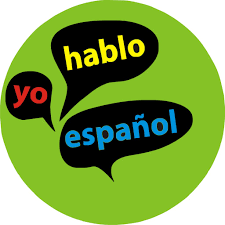 I am new to the IB world this year and jumped in with SL Spanish. (If you don’t know what I’m talking about, look here). One of the areas where students need much practice is with picture descriptions for the internal assessment. In the real thing, the students describe a picture and then have a conversation with the teacher about it. The process involves a 10 minute recording. With 80+ students, it is notpossible to practice this regularly with each individual. So I decided to use something old school in a more effective way. Here’s how my students practice using role play. I partner students on our language lab (this could also be done face-to-face). I have the students decide who will be the “student” or the “teacher” first. I put a picture on my screen (could be physical copies if need be) and give them 5 minutes to take notes. The “student” takes notes to be able to present for 3.5-4 minutes over the picture/topic. The “teacher” writes questions to engage with the student for 5-6 minutes. After the time is up, the student begins the presentation (I record this on my lab, students could record on the voice memo app on their phones). I keep a stop watch up and when 3.5-4 minutes arrives, the teacher interrupts and begins a conversation with the student. After the conversation time is over, I have the students use the appropriate IB rubric to peer assess. I play the recording back and the student self-assesses while the teacher peer-assesses. Once the recording is over, they discuss where they would put the student on the rubric. Then they switch roles and we begin again with a new picture. This activity takes an entire class period, but is worth doing every other week or so. I am conducting my orals the week after spring break and am confident my students are prepared! Hi! My name is Laura-Jane Barber (you can call me Laura-Jane or LJ), and I am a missionary for Jesus Christ cleverly disguised as a Spanish teacher and Senior Gold Plexus Ambassador. I am amazed everyday with what God is doing in my life both in the classroom, in network marketing and at home with my family. I am an avid reader, I love binge-watching shows on Netflix and care about fitness and health. This blog is oodles and gobs because I have oodles and gobs on my mind and in my heart.